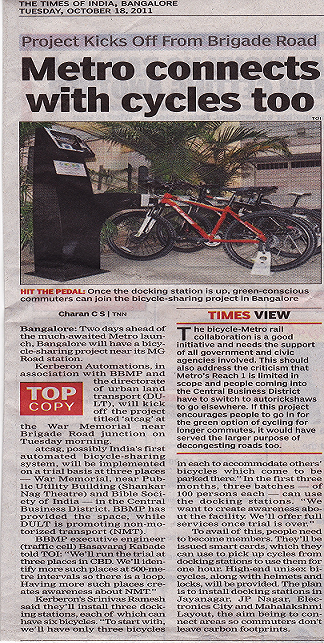 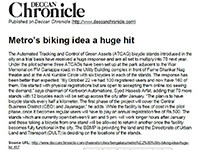 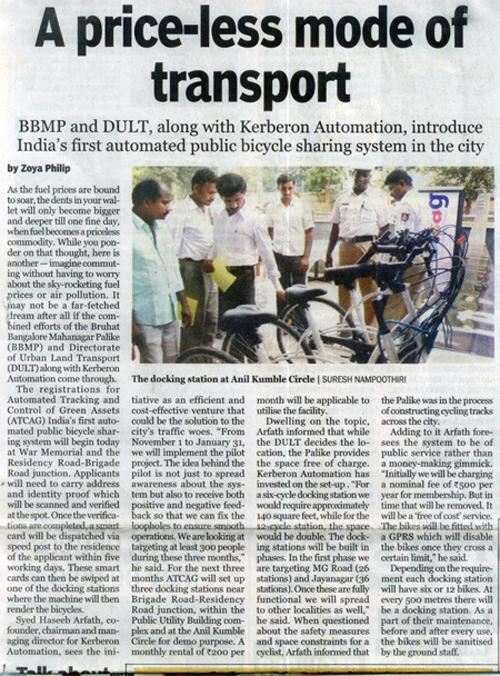 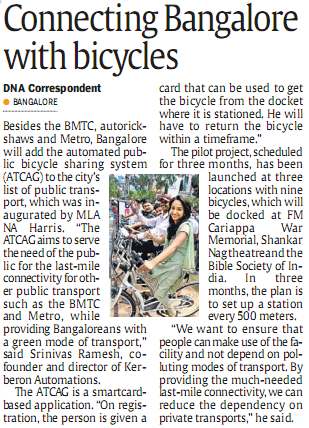 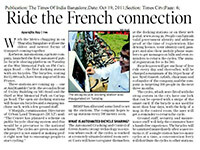 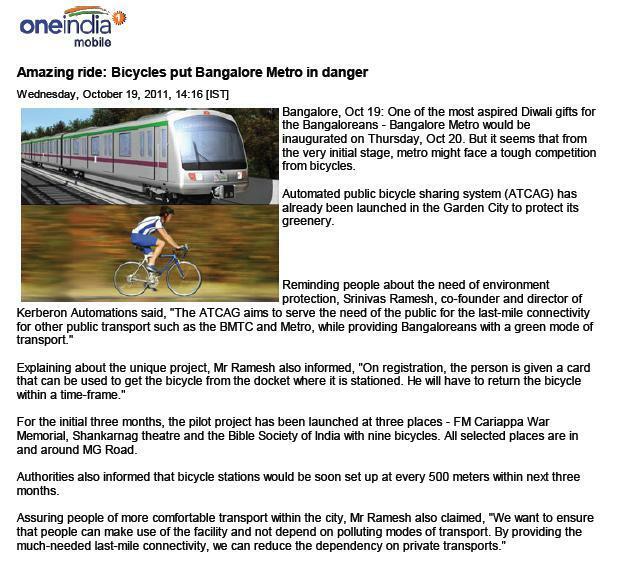 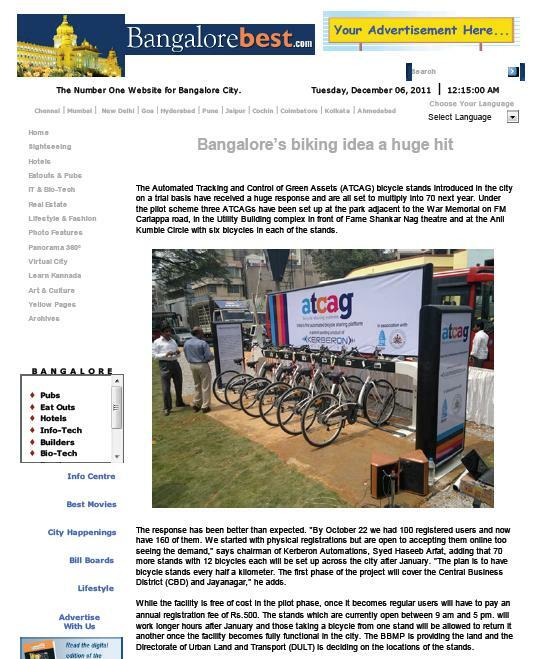 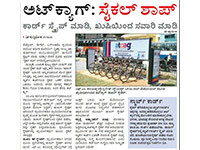 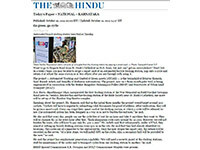 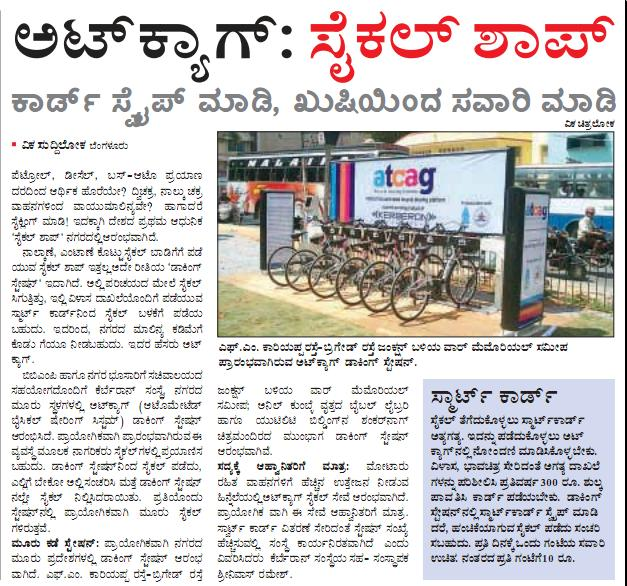 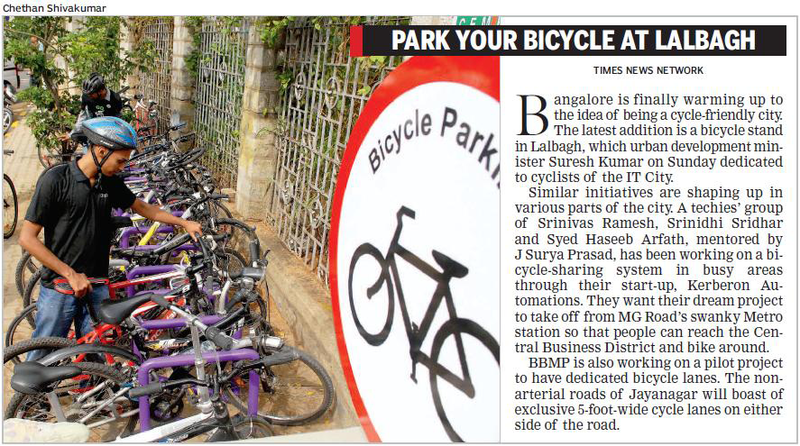 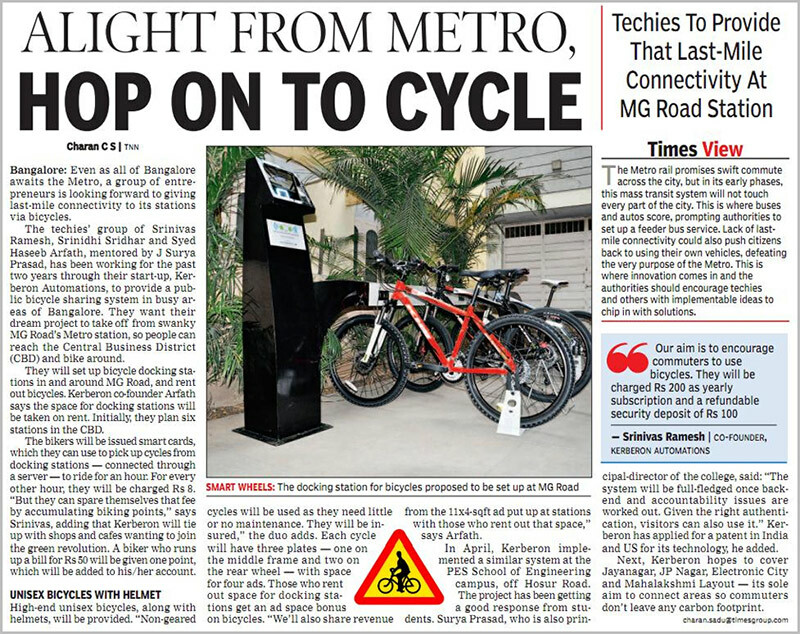 ATCAG - India's first and only automated bicycle sharing platform launches in Bangalore. 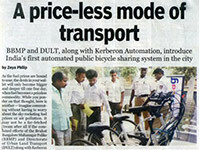 A product developed and operated by Kerberon Automations Pvt Ltd. 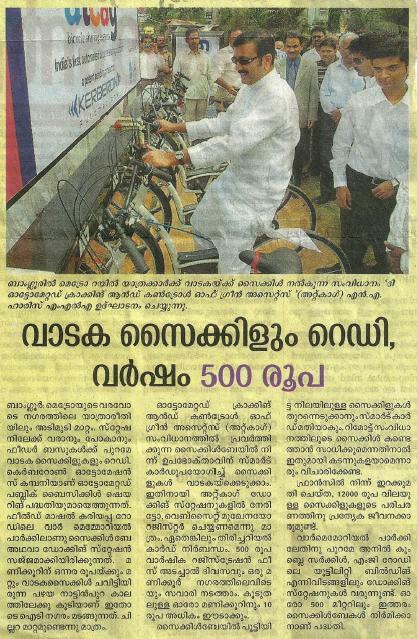 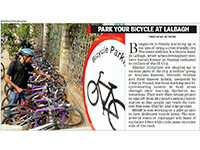 Imagine cycling 365 hours a year for just Rs.300! 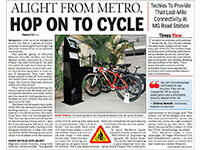 And you won't have to maintain the cycle, clean it or buy it. 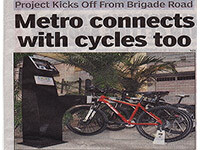 Just use the docking stations provided and you are good to go. 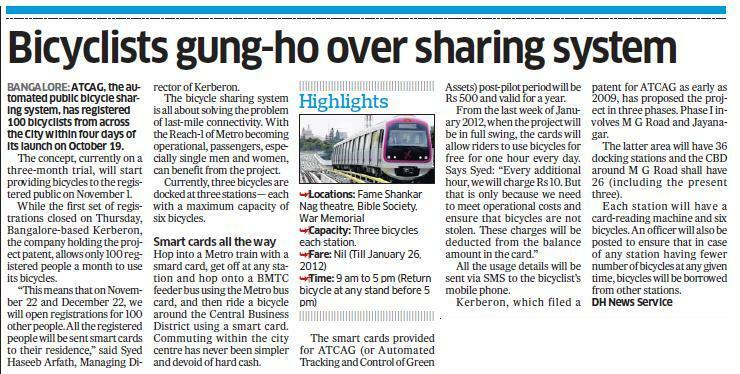 What a useful system, particularly when one prefers using public transport or can't find parking close enough. 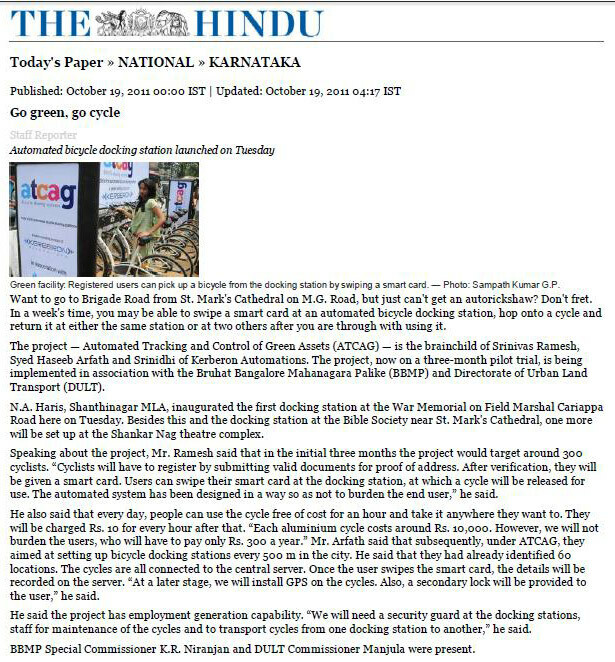 In other words: India's might have its first automated bicycle sharing system up and running across one of its big cities very soon. 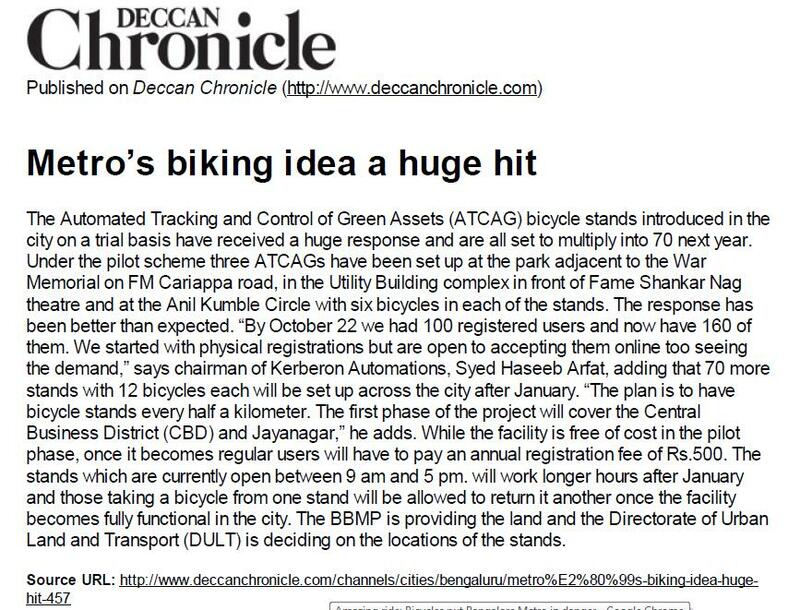 Known as ATCAG, this system is in pilot phase and appears to be a strong business model that strongly benefits the public. 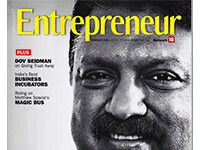 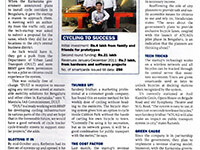 The people behind it not only include Government officials thinking ahead but also three very young entrepreneurs. 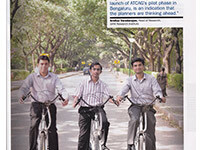 Meet Srinivas, Arfath and Srinidhi: they are in their early twenties and have come far with this BOT partnership. 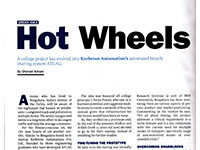 Together they form a company called Kerberon Automations and have developed innovative technology as part of the ATCAG system. 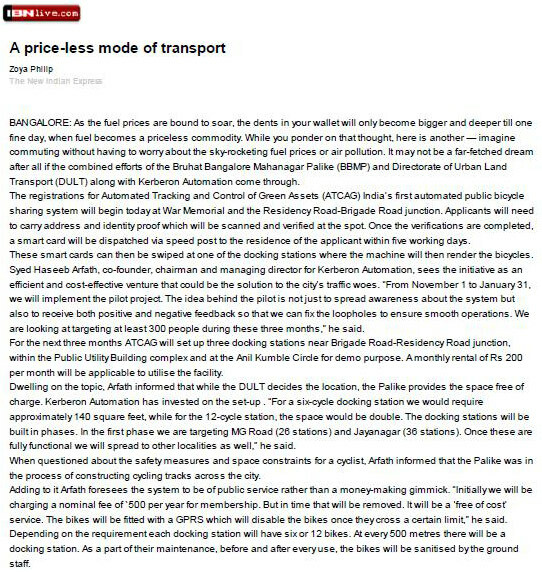 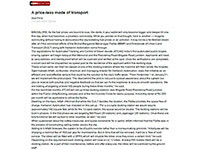 Autowalas should ideally think twice now before hiking up prices at will!